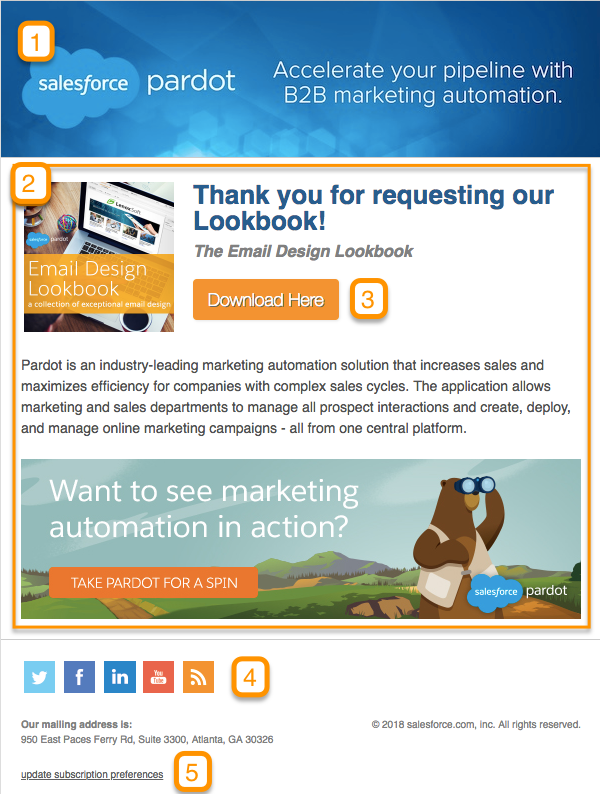 Pardot is the world’s #1 CRM Business-to-Business(B2B) marketing automation solution by Salesforce. Pardot unites sales and marketing teams to work better together. It is customizable so it can be configured as per your company needs. What is Marketing Automation Solution? Marketing automation solutions can be used to automate marketing activities. Marketing automation platforms are designed to increase sales for companies with complex sales cycles and maximize efficiency. 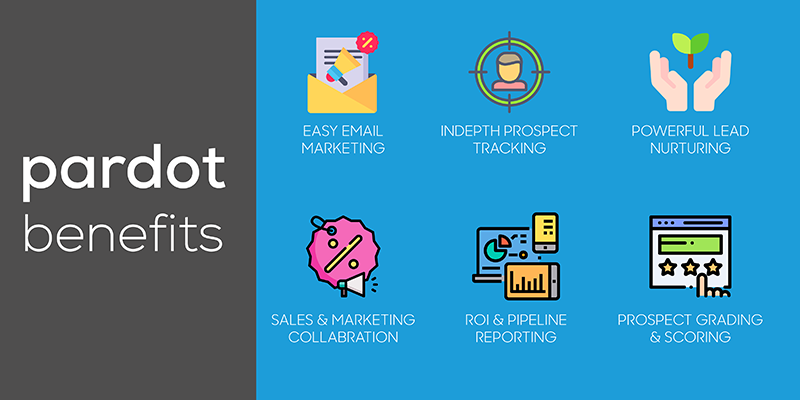 Automation enables your marketing team to reach thousands of prospects in just a few seconds in your B2B marketing efforts. Visitors: Anonymous people who visit your website are tracked by pardot. Prospects: Identified individuals who have an interest in your service or products. Demand Generation: Act of creating interest in your products and services by marketing strategies. Conversion: Once a visitor provides contact information such as email address, telephone number by submitting a landing page form in pardot, they will be converted into prospects. Lead Nurturing: Making dead leads active via different marketing strategies eg: send emails at specific intervals to dead leads and make them active. Lead Qualification: You are probably interacting with thousands of people in your organization. It is not possible for your sales team to contact each of them. So it is your job as marketers to help send them the best prospects. For lead qualification, pardot uses prospect score and prospect grade. Assign to Sales: Once the prospects are qualified, then assign it to the sales team. On the left side, Navigation Sidebar includes the main menu items including Marketing, Prospects, Reports, and Admin. Marketing : are mostly used for creating campaigns, segment your prospects, create forms,list-emails, landing pages, and their templates. You also send emails from here, monitor your social platforms, create prospects list, create criteria based automation rules, create engagement program and create content for marketing. Prospects: include a sorted list of all identified prospects, one-to-one emails,visitors and associated accounts. Reports: Here, through Pardot reporting, you can review the results and effectiveness of your various marketing elements. This includes Overview, Content, Emails, Forms, Landing Pages, Natural Search, Opportunities, Paid Search and Site Search. Admin: As a Pardot administrator, you will often use the Admin tab. Here you will control field settings, create and sync custom objects, set up authentication protocols for your email, import a CSV file, recycle bin, maintain security for your account and you can set up users and limit or groups. A Pardot campaign tracks your online marketing materials for the first touch a prospect has. The tracker code is a simple piece of code that you insert and paste into every page of your website. This allows you to track when visitors and prospects land on your website and bounce between your various pages. This tracker essentially cookies your IP address prospects and tracks your website visits. HTML < head > or < body > of your website. If you have a universal footer or header on your website, you can add the code to it and it will propagate all over the website. Otherwise, you need to add the tracking code individually to each page. If your website has a Pardot tracking code, you can use it to set all your website visitors to the website tracking campaign automatically. 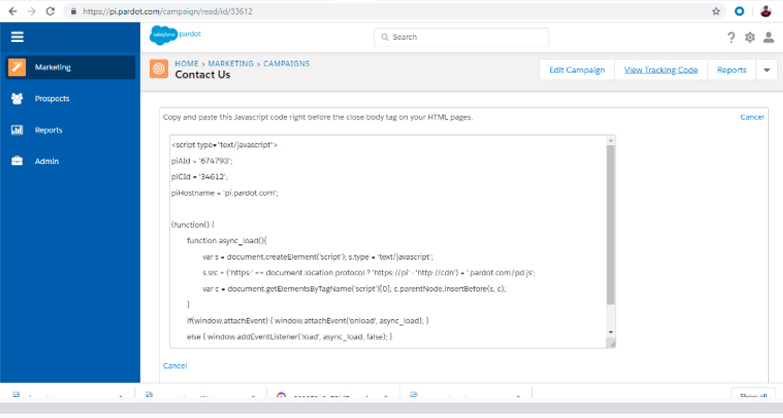 you can also set campaigns when prospects complete forms, visit landing pages or set them manually. Forms are what you use to gather information about people visiting your site or landing page and help you turn anonymous visitors into prospects that you have identified.Using form we the visitors are converted into prospects. After setting up your prospect fields you can use the form wizard to create Forms or Form Handlers for hosting on Pardot Landing Pages or your own website. A landing page is a specific web page that visitors typically reaches after clicking a link or ads. The contact form is present on this page. Landing pages are used to schedule a demo, download whitepapers and case study contact a sales rep, asking for sales collateral. 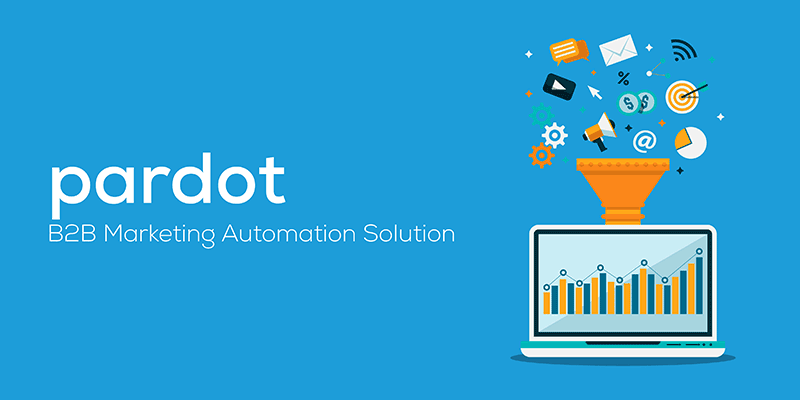 You can effectively schedule and send personalized emails to thousands of prospects with the Pardot marketing automation tool. You can create responsive templates, or create and send emails that deliver personalized experiences to all of your prospects.